Wow, this is what we can call real and committed christianity with reference to sin, forgiveness, repentance and restitution. 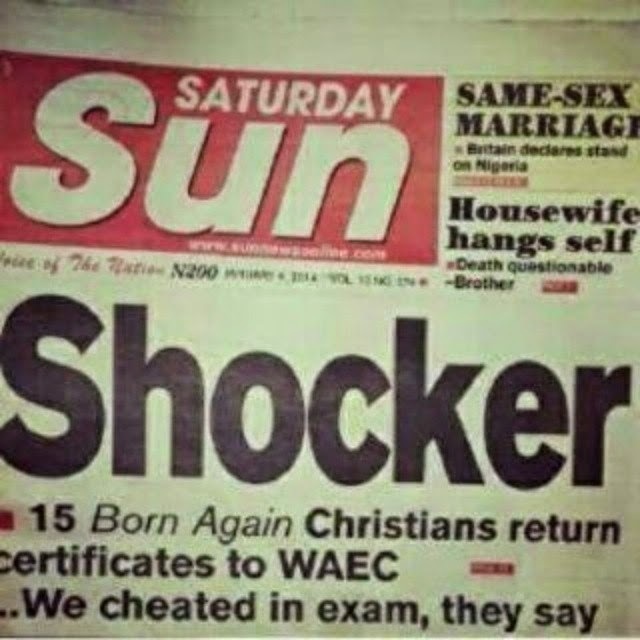 15 people, according to this Saturday Sun report, have returned their WAEC certificates saying they cheated in the exams and do not deserve the opportunities that come with such manipulated results. Can you do the same, and do you think it is necessary?